I met Betty Jurus over 23 years ago when a book she wrote with Gene Wentz was sent to me at the Asian Journal (the newspaper I get to play with) for a review. That book, Men in Green Faces about Navy SEALs in Vietnam, was an intriguing and interesting read and when I found out the authors lived in San Diego, I contacted them through the publisher. A couple of weeks later I met them in a restaurant for an interview and my life was never the same. The interview was good, but the best part was I made a friend. Betty invited me to meet a group of writers she hung out with and I’ve been meeting with this extraordinary, funny, magical-in-their-own-way people for over two decades. She signed her book for me. The note says, “Dearest Miles, light of my life, wordsmith extraordinaire, you please me mightily! Hugs and love and may you soon sign your novel for me.” Betty Abell Jurus. I never got to sign that novel because my writing went another direction – journalism and non-fiction. 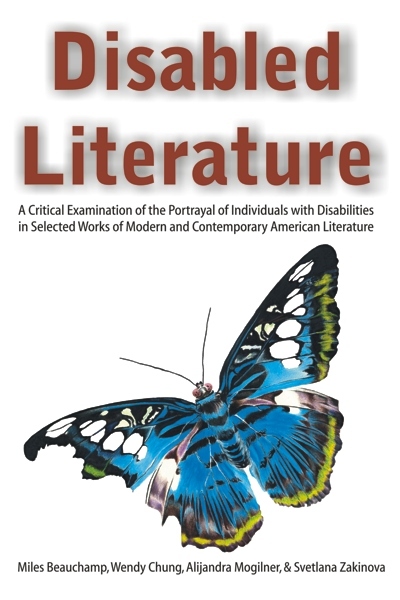 My book Disabled Literature is due for release this summer and I’m saddened that she won’t be here to see it. and the ever present ash tray. a twinkle in the eye. Betty, me and a squad of ladies sneaking around Julian on night maneuvers trying not to get ambushed by Gene Wentz- “Men in Green Faces.” Locals probably thought we were nuts but we had a great time. Betty sharing with me a novel she was working on about living in a small town. We talked at length about her personal life. It covered a great deal but seemed to focus often about her growing up. She expressed often her frustration how being a man had so many advantages over being a woman. She envied the breaks men got. I think that made her tougher inside and so more graceful to others. She truly liked people and had great compassion for others as individuals. She loved being with people but was also a very private person. I picture her eternally as willing to be your friend if you, too, would open up to express yourself. That’s why she loved writers. The luckiest mistake I ever made was misreading an SDSU Extension class description. I expected a “how to get published” class, ended up staying in a “how to self-publish” class, and followed the instructor’s recommendation that we check out the San Diego Writer & Editor’s Guild. I met Betty at my first meeting in May 1982. She noticed a new face, made me feel welcome and continued to do so each month. A few months later, she asked me and others what we’d want in a writer’s bookstore if she opened one. It seems she was having trouble finding the writing books she wanted and decided the only way to get them was to have her own store. In October 1982, she opened The Writers’ Bookstore & Haven and never looked back. She didn’t even have a full set of Books in Print when she opened (this before computers were in general use) but that didn’t stop her. I was fortunate to be one of three in the first WB&H workshop started in January 1983; we’re still going. The bookstore (and number of workshops) grew and moved and grew and moved again. It was at least as much Haven as it was Writer’s Bookstore. It’s impossible to say how many writers Betty encouraged, how many she helped indirectly through the WB&H workshops. 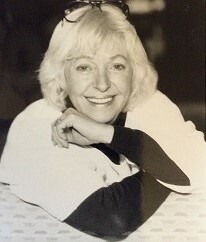 In January 1987, she added to the number when she founded the Southern California Writers Conference (SCWC). That too is still going and has helped not hundreds but thousands of writers. To write “Men in Green Faces,” she had her co-author, Gene Wentz, give her SEAL training. She made it sound like so much fun, several of us women asked for a similar experience. Thus six or seven of us found ourselves camping near Julian and training late at night after other campers were asleep. We learned how to become invisible, to move quietly among leaves and on gravel, to outwit the enemy (the other team) by crawling through the brush in the dark. Some (not me, thankfully) even sat in a bush with a snake. Some (including me) got to practice what we learned when we had to dodge illegal immigrants moving through the mountains. On a second trip to Julian, we concentrated on how to evade “the enemy” in town. Informative and lot of fun, all because Betty wanted to experience what she writing about. Julian wasn’t the only place she and I camped. We signed up late for the Santa Barbara Writers Conference (she’d attended every year) and ended up camping on the living room floor of workshop leader Joan Oppenheimer’s cabin. Needless to say, we signed up early the next year – that floor was hard. To the end she surrounded herself with writers. Everyone was welcome at the table, as long as they didn’t complain too loudly or often about her beloved cigarettes. She knew they were bad for her and she didn’t care. She was determined to live life on her terms. She did. Right to the end. I was one of the team that sat ambush with the snake. It was Nancy Painter, Gene Wentz, Betty and me. We tucked under a bush, waiting to ‘ambush’ the other team making their way up the hill toward us. Gene and Betty were in back, I was sitting in front of Gene. We got in place a while before the other team was due. Sitting, being as quiet as we could. The only noise was the breeze rustling the tree leaves. Then comes a rustling down where we were sitting. It goes on and on. Finally the other team approaches, we burst out at them, our ambush is successful. And Betty is just livid, ready to go off at Gene for making so much noise when he’d told us–threatened us–to be quiet. That’s when he told us it had been a snake taking a nap in those lovely old dry leaves and we’d disturbed it when we tucked in under that bush to hide. Betty and I have shared many laughs over that one, bet how high up a tree we would’ve gone if we’d known it was a snake and not Gene making all that noise. Yep, another good memory. Well, good after the fact. Dichotomy is the word that best describes Betty for me. Her motto was to ‘live life with no regrets’. Yet by the end, she had a heavy basketful that she carried – but refused to let them weigh her down. The daughter of a woman who cooked and managed school kitchens, she was a good cook. I remember tomato dumplings and a mouthwatering pumpkin pie. But she decided at some point that she wasn’t cooking anymore and ate every meal out from then on. Kept her pots and pans, though, but never dusted them. She picked her friends and the people she associated with carefully. Even though the Writers’ Bookstore and Haven was hers, 25 or more people had keys and were free to go and come, run workshops, work on projects, and she trusted us. The thing she loved most was coming in early mornings, making coffee, then looking around to see what the writers had been up to the evening before: checks for workshops on the desk, a pile of coins on the counter (payment for cookies), forgotten pages of verse, a scarf or a cap. What pleased her most was that the writers never took without giving. Never a bounced check, cookies and coffee always paid for, anyone willing to help with whatever needed doing. She liked to go looking around old hotels via informal, backstairs tours. “Just look like you know what you’re doing,” she’d say. We got odd looks but no one ever kicked us out. From roofs to basements to forgotten stairways, we poked around San Diego’s old hotels. The secret stairs that led down to a bunker of a room where radio broadcasts went out during the war years, the roof of another hotel where a square little bunker had been erected for civilian patrols during the war and gave a sweeping view of the bay, to the athletic club east of downtown that once was a dance studio and then a dance club when ships were in and Broadway was–Betty’s description—”a sea of white hats flowing in both directions.” For a woman who moved forward so easily and with purpose, she loved looking back. Although she was a writer who appreciated good fiction, she couldn’t conjure locations in her head. She had to physically visit places and view things in order to write about them. Julian became her favorite little town, a setting for several stories which were underway but not finished. Her eye was drawn to the smallest of details and she’d get those right—the texture, the flavor—but the big picture escaped her and was an issue of great consternation. She never could get the Julian in her heart down on the page. One of her favorite words was ‘commence.’ To her, it spoke of bygone days and range riders, campfires, and men aiming with a purpose. But words have a funny way of attaching, and hearing that word now will always make me think of her and wonder what new thing she’s commenced. Without us. The “broad greeting smile and the twinkle in the eye” was exactly the way she greeted me at the Oxnard Writer’s Conference in 2002 when I spotted her sitting alone at a table in the open courtyard and went up to introduce myself for the first time (as Michael Steven Gregory had told me to be sure and do). Little did I know that this white-haired mini-ball of energy with the super-alert eyes and demeanor was going to take me under her wing and push me gently but firmly ahead right to the end of my first fiction book publication. “We’ve prepared a place in the rose garden for his ashes. Indeed. Our Betty is gone and who’ll fill the hole in us. I have one small memory of her that makes me laugh whenever I think of it. We were going back and forth editing the chapters for Bank’s Bandits, mostly by email but once in a great while by phone. I was a little concerned because the language was pretty rough in a few places with a lot of use of the F-word and so on, but Betty just shrugged that off and said, “Ed, that’s exactly the way it would have been said in the army in 1953, so don’t worry about it.” Then, I sent the Ms. on to Gene McCarthy for an accuracy check since he was a retired Lt. Colonel of Special Forces and a long-time pal of mine. When I called Betty to tell her he loved the book, she literally howled with laughter when I told her the first thing he said was, “Well, I see you cleaned up the language a lot!” I can still hear her laughing and what a kick she got out of that. God, here comes an original. I hope heaven is ready. I sure am not. What an amazing character she was. She took life on, twisted it into something resembling what she wanted and then laughed at it with coffee in one hand and a cigarette in the other. People often say that someone lived life on their terms; she really did. And that’s not to glorify her or make her out to be something she wasn’t, it’s just to acknowledge that interesting lives can take on many forms. She was interesting and my world is emptier without her. I’ve been missing her in a formless way for a while now but now it has form. It’s concrete. I’m glad she’s not suffering any more but yes, the world is emptier. Betty, wherever you are may the inspiration never cease and the ink never run dry. Your life has mattered and your words will continue to resonate for decades. I’ve learned from you and so then my children.